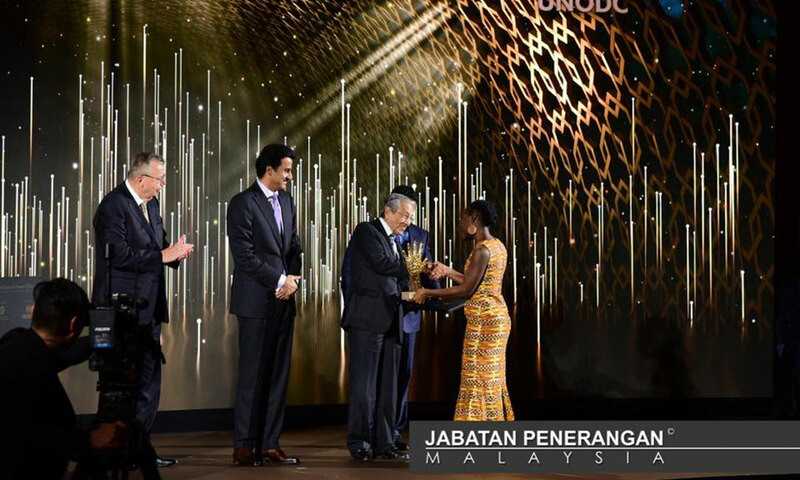 Prime Minister Dr Mahathir Mohamad said today Malaysia and Malaysians can only consider themselves developed when they can resist corruption and put a stop to it. He said Malaysia needed to take corruption seriously if it wanted to join the ranks of developed countries and to be the “tiger of Asia” again. 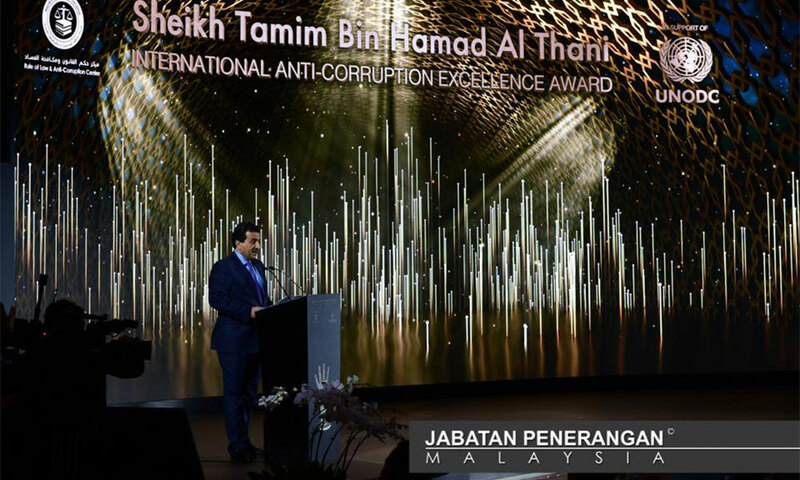 "We cannot get there by taking shortcuts to success,” he said in his keynote address at the Sheikh Tamim Hamad Al-Thani International Ace Award 2018 in Putrajaya today. Also present were the visiting Emir of Qatar Sheikh Tamim Hamad Al-Thani, and key global anti-corruption players globally namely Qatar’s Attorney-General Dr Ali Fattais Al Marri, Executive Director of the United Nations Office on Drugs and Crime (UNODC) Yury Fedatov. Malaysian cabinet members were also present. Mahathir said Malaysia was pulling all stops to not only remove the "kleptocracy" tag but also to remind all in Malaysia that corruption is not something to be tolerated. "It should be treated with disgust and anger,” he said, adding that only by reducing corrupt practices, could the government and nation move forward. "It is time for Malaysia to join the list of developed and capable countries and let the world know that we are a strong nation that respects democracy and the rule of law,” he said. Mahathir stressed that Malaysians must ensure efforts to improve governance and introduce anti-corruption initiatives were intended to bring an end to corrupt practices and abuse of power. He drove home the point that corruption was an awful thing that could bring irreparable damages to the society and nation. “Therefore, it is not the people who engage in corruption whom we should look up to. Instead, we should celebrate the people who are working to fight it every day,” he said. Mahathir also emphasised that Malaysia should uphold the values of integrity and good governance in the country and in all organisations as it is imperative to raise their values and standards. On corruption and good governance, he said it was an important for every country to work together and learn from each other . “I hope this ceremony will empower members of both the public sector and the private sector to come to the realisation that it is integrity and good governance that will allow a country to grow, to develop, to prosper and to keep moving forward,” he said. Putrajaya is the third city to host the event after Vienna (2016) and Geneva (2017). 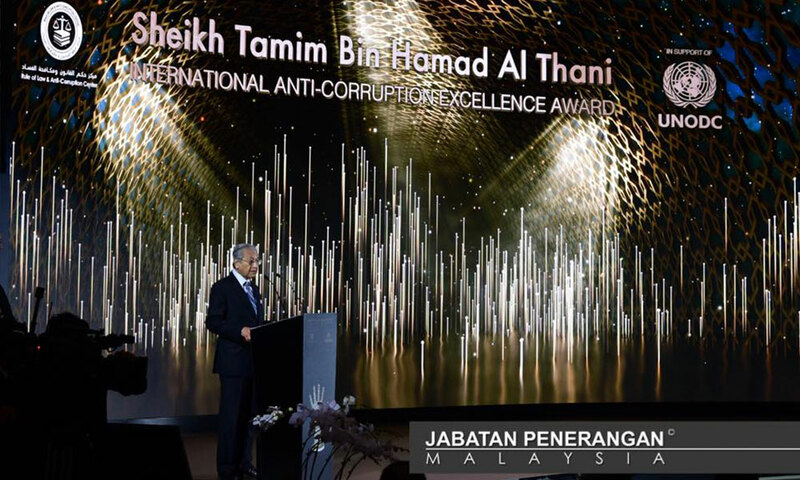 Mahathir also announced that Malaysia has pledged RM500,000 towards the International Association of Anti Corruption Authorities (IAACA). “We hope this small gesture will start the ball rolling for the foundation to raise more funds, in order to help the families of the fallen heroes,” he said. 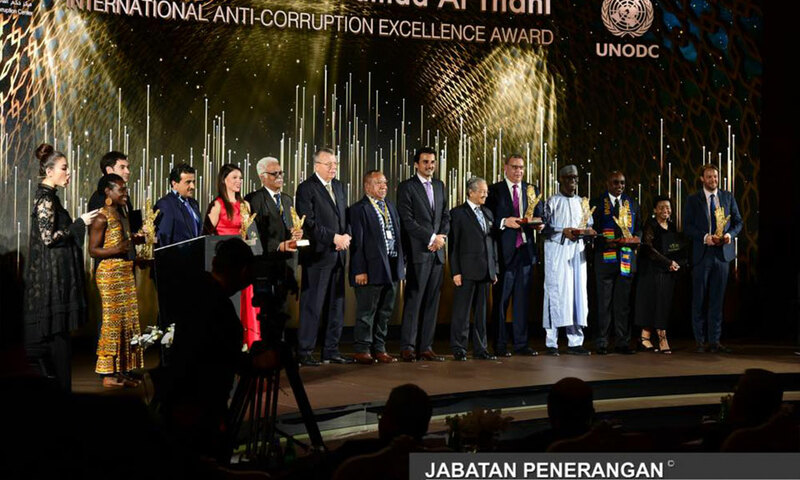 Dr Mahathir and the Qatari ruler then presented awards in four categories of awards that recognise those who have been championing the war on corruption in their respective countries. The awards are Anti-Corruption Academic Research and Education, Anti-Corruption Youth Creativity and Engagement, Anti-Corruption Innovation and Anti-Corruption Lifetime / Outstanding Achievement.